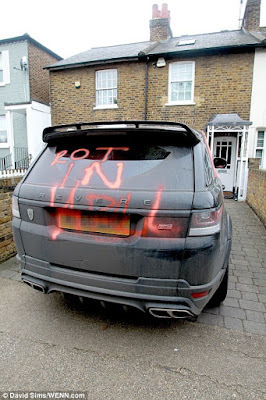 Wife Caught CHEATING by husband; Lover Escapes through window! 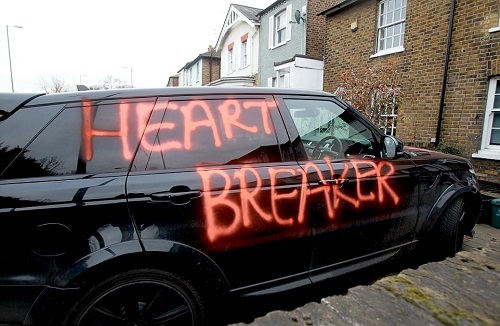 The owner of a high-performance custom Range Rover, in Richmond, south London, seem to be a victim of a lover’s heartbreak. 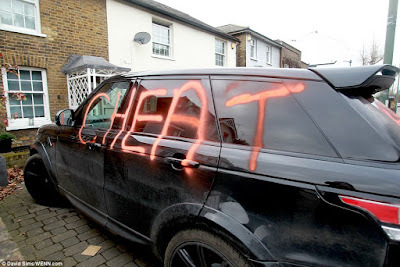 The yet to be identified car owner stepped out of his house to see ‘cheater’, ‘heart-breaker’ and ‘rot in hell’ visibly painted on his £100k car. Knightsbridge. 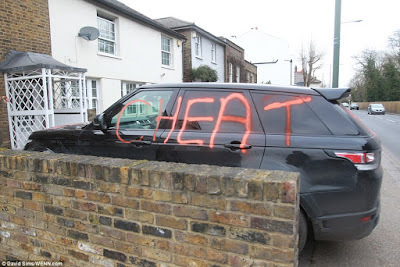 The car also had the words ‘cheater – it’s over’ and ‘hope she was worth it’ gratified on it. 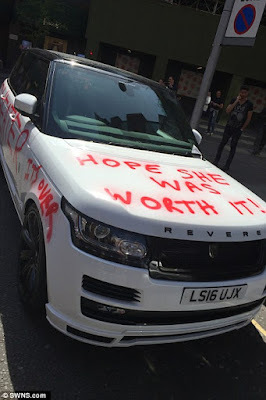 A red paint was also used on the white diesel Range Rover Vogue outside the store in Basil Street, in May last year, with hundreds of people gathering to take pictures of the car, which turned out to be a publicity stunt. 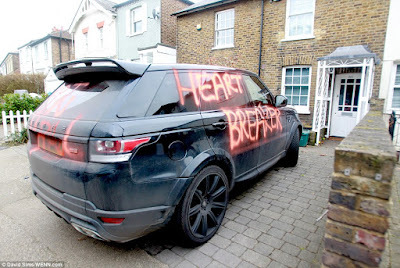 But the question on everyone’s lips now is, is this also a publicity stunt?